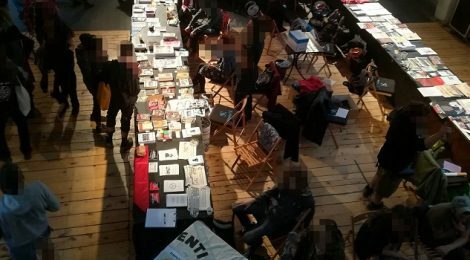 Between the 28th and 30th of September, 2018, many individuals and collectives from the anarchist and anti-authoritarian movement of the Balkans and beyond came together in Novi Sad for the 12th Balkan Anarchist Book Fair. Coming from all across the region, we speak many languages: Serbo-Croatian, Hungarian, Romanian, Slovenian, Macedonian, Bulgarian, Albanian, Greek and others. Taking into account our heterogeneous backgrounds, our gathering confirmed that the one language that we all share is the language of struggle and solidarity. During the days spent together, we shared many experiences of struggle, updated and tested our analyses, and formulated some concrete proposals for the future of our struggles. Through this we were able to recognize some common patterns that are coming to the fore of political strategies of the ruling class everywhere in the region. Once again, it employs nationalism as a tool of sowing divisions in order to facilitate the attack on the oppressed and at the same time, creates a fake opponent in the form of populist nationalism that pretends to oppose the truly destructive impacts of the capitalist offensive while actually providing global capital with bloody opportunities for its restructuring. As usual, nationalism is combined with militarism, renewed religious obscurantism, and patriarchy. All of this is clearly present in the new wave of tensions between various state forces and in the rise of popular nationalisms (i.e. between Kosovo and Serbia, in Macedonia and Greece, in Bosnia and Herzegovina, in Croatia, etc.). As a response to these divisive efforts of the ruling class, the coordinated actions and Balkan-wide campaign against nationalism, militarism, and any type of division between the oppressed were expressed as an urgent necessity. This can only be achieved through the joint mobilization of social forces. One of the next important moments when we can concretely act towards this goal will be the mobilization against Lukov march in Sofia, Bulgaria in February 2019. We express our full support for the Anti-Lukov march and call upon everybody to build localized anti-nationalist mobilizations and, if possible, to come to Sofia. We also stress both our commitment to protect our structures from fascist attacks and the necessity of striking back. Parallel to this, we recognize that the expansion of global capitalism is limited by the finite nature of our planet. To compensate for these limitations, capitalism readily employs deadly methods of direct looting and vulgar exploitation, most commonly and continuously in the form of attack on workers’ rights and the environment. It is thus no coincidence that in recent years the Balkans has seen the eruption of many struggles against capitalist appropriation of nature: the goldmines in Chalkidiki, and Roșia Montană, big hydroelectric projects on rivers of the Balkans, among them in Stara Planina in Serbia, Mura in Slovenia, Valbona in Albania, fracking in Romania and Bulgaria, fossil fuel extraction all over Greece, and in so-called ‘exclusive economic zones’ by local companies and energy giants like Repsol, Total, ExxonMobil, Edison to name a few. All these are particular examples of how the extractivist sector of the economy, managed by a few global corporations and covered by the legal and repressive apparatus of the State, is taking over the territories in the Balkans, offering pollution and the destruction of workers’ rights as well as of communities in exchange. On the periphery of the global capitalist system, looting and war transform large segments of the population who are turned into migrants and refugees; this process is not just a theoretical problem to us in the Balkans, but a lived experience as well. As the diverse and heterogeneous population searches for place to call home and to rebuild their lives, they are targeted by capital and its political structures: the former directly integrates them in capitalist economy as cheap labor, while the latter uses them as scapegoats to justify increased social control of everybody, surveillance and repression of antagonist segments of society and to feed the popular right and undermine solidarity among the oppressed. Three years after the temporary breakdown of machinery of Fortress Europe, people are being incarcerated in prisons because they dare to resist the regime of dehumanization that they are subjected to. Cases like Harmanli in Bulgaria, Moria in Greece, and Röszke in Hungary are just the most widely known that point to wider processes of repression and criminalization. Through it, not only migrant resisters are targeted but the very ideas and practices of transnational political solidarity as well. Now that the Balkan and European states have, to a large degree, regained control of their borders, the more silent, yet even more lethal tools of criminalization and racism are being used to push people to the margins, often subjecting them to illegality and the most vulgar forms of exploitation. We recognize that it is necessary to break the state of exclusion that is imposed on migrants and refugees and to dismantle the dehumanizing European regime of borders and concentration camps. We support all solidarity actions against detention centers, hot spots, and the criminalization of migrants. This year’s BAB also hosted a meeting between the grassroots syndicalist initiatives from Balkans from which we had a chance to get acquainted on recent struggles of shipyard workers in Pula and Rijeka, Croatia, women workers of hygiene service sector in Kosovo, struggle of workers of supermarket and coffee shop chains in Greece, logistic sector in Bulgaria, and so forth. Seeing how these struggles share similarities and especially taking into consideration the interconnectedness of capital in the Balkans, we agreed upon the further strengthening of mutual support and information sharing. We established a common information sharing platform and some other concrete steps were made that will hopefully facilitate workers’ solidarity across the Balkans. New communication channels will facilitate workers’ solidarity and allow efficient coordination of direct actions across the region. Following that, present anarcho-syndicalist and radical grassroots syndicalist organizations confirmed their position to focus on organizing workplace struggles, helping workers to self-organize; and agitating for international class struggle in the Balkans. 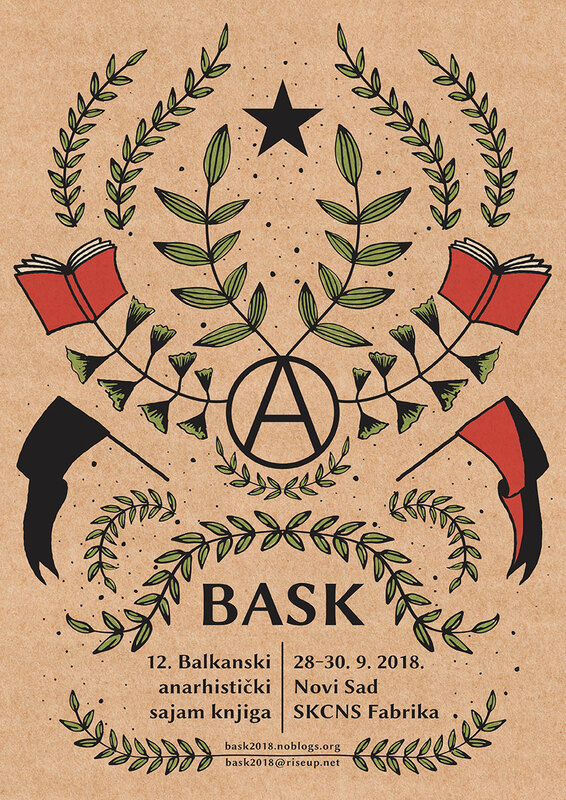 Finally we decided to meet next year in Sofia, Bulgaria for the 13th annual Balkan Anarchist Bookfair. The anti-authoritarian and anarchist movement there will come together to provide a space for the continuation of our struggles, and also to honor the 100 year anniversary of the foundation of the anarchist federation in Bulgaria. Against nationalism and capitalism! For the Balkans of struggle and solidarity! No name divides us, no nation unites us!